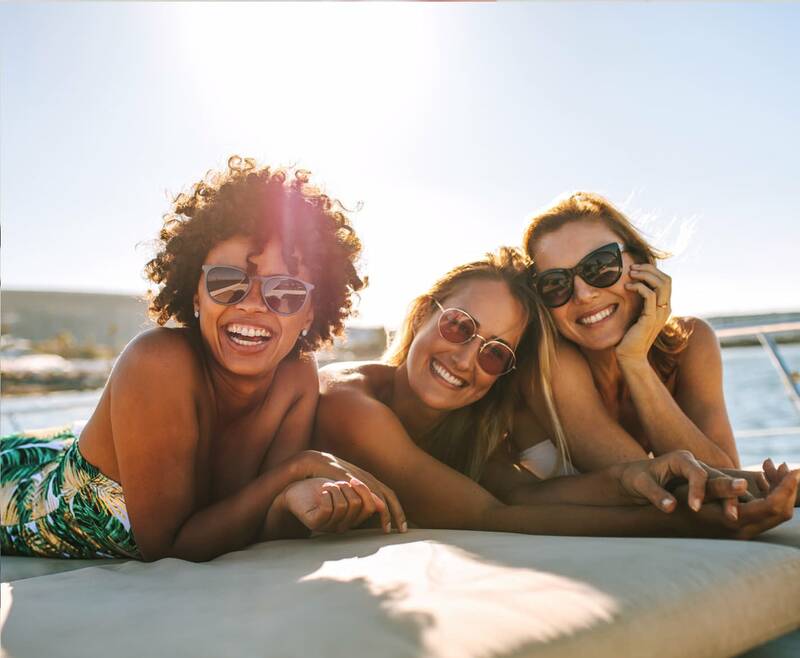 Dare to make waves every time you step outside with nonprescription and prescription sunglasses from Cohen’s Fashion Optical. With over 90 years in the fashion eyewear industry, Cohen’s is the go-to destination for designer sunglasses. Find your local Cohen’s store to browse our extensive collection of fashion sunglasses, and discover eyewear that elevates your wardrobe to a whole new level. At Cohen’s, we specialize in designer eyewear, including nonprescription and prescription sunglasses. Our impressive collection includes frames from the top 20 designer brands, including TOM FORD, Michael Kors, Gucci, Fendi, Valentino, Prada, Maui Jim, Ray-Ban, Nike, Lacoste, Oakley, Calvin Klein, CAZAL, Dolce & Gabbana and more. Visit your neighborhood Cohen’s location to uncover the latest looks from the industry’s most exclusive brands. Whether you’re a fan of the timeless cat-eye, vintage wayfarer or iconic aviator, Cohen’s offers popular sunglasses styles to suit your impeccable taste. Both nonprescription and prescription sunglasses are available with polarized lenses, which help filter out reflected light for reduced glare. For sensitive eyes or extended sun exposure, extra-dark sunglasses are also offered. Regardless of the style you choose, all sunglasses at Cohen’s provide 100% protection against harmful UVA and UVB rays. Fashion is in our DNA at Cohen’s – we were the first fashion eyewear retailer in New York City. Since 1927, we’ve been striving to provide the neighborhoods we serve with the finest eyewear brands. Currently, Cohen’s carries designer sunglasses from a score of leading designers, so you never have to settle for anything less than the best. As the premier destination for all things eyewear, we’re proud to provide everything from eye exams to style tips. Our on-site eye doctors are some of the best in the field, offering premier eye care to every customer who enters our store. And our eyewear specialists are experienced at finding sunglasses that provide the right shape and style for your facial features and lifestyle. Your sunglasses do more than help you see – they’re a fashion statement. Make sure your eyewear exudes sophistication by shopping at Cohen’s Fashion Optical. Locate a Cohen’s near you to get started.